Selena Gomez has premiered the music video for her new single online. The track was co-written by Ester Dean, whose credits include “I’m Falling” by Mindless Behavior [Interscope Records], “Always Be Together” by Little Mix [Columbia Records] and “In My City” by Priyanka Chopra [Interscope Records]. Production duties were handled by Tor Erik Hermansen and Mikkel Storleer Eriksen of Norwegian duo Stargate, who are also responsible for singles “Diamonds” by Rihanna [Universal Music Group / Island Def Jam Recordings] and “Got to Love You” by Sean Paul [Warner Music Group / Atlantic Records]. Demi Lovato has unveiled the official production credits for her upcoming album. 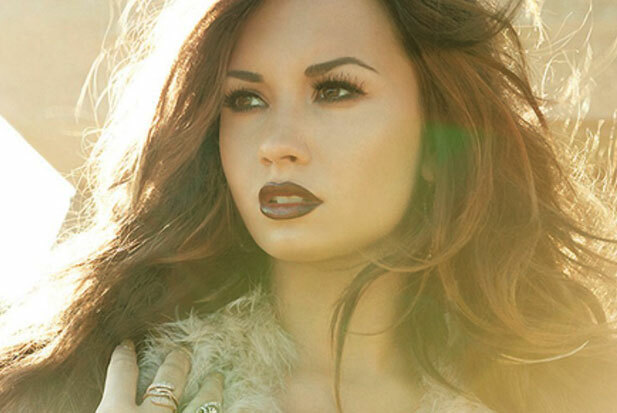 The singer/songwriter will release “DEMI” in the United States on May 14 via Disney Music Group / Hollywood Records. Lead single “Heart Attack” was written by Demi Lovato along with Nikki Williams, Mitch Allan, Jason Evigan, Sean Douglas, and Aaron Phillips. The follow-up to 2011’s “Unbroken” boasts additional songwriting contributions from Corey Chorus, Jonas “Jay Jay” Jeberg, Olivia “Livvi Franc” Waithe, Ali Tamposi, Felicia Barton, Anne Preven, Lindy Robbins, Priscilla Renea Hamilton, Andrew Goldstein, Savan Kotecha, and Evan “Kidd” Bogart. Producers include The Suspex (BC Jean, Pia Toscano), Ryan “Alias” Tedder (Beyonce Knowles, Tamar Braxton), Noel Zancanella (Katharine McPhee, Leona Lewis), Emanuel Kiriakou (Bridgit Mendler, Selena Gomez), Carl Falk (Taio Cruz, Nicki Minaj), Rami Yacoub (Britney Spears, Enrique Iglesias), Matt Squire (Ke$ha, One Direction) and Jarrad Rogers (Little Mix, Delta Goodrem). “Heart Attack” – produced by The Suspex. “Made in the USA” – produced by The Suspex. “Without the Love” – produced by Matt Squire and Freddy Wexler. “Neon Lights” – produced by Ryan Tedder, Noel Nancanella, and Marchetti. “Two Pieces” – produced by The Suspex. “Nightingale” – produced by Matt Radosevich. “In Case” – produced by Emanuel Kiriakou. “Really Don’t Care” – produced by Carl Falk and Rami Yacoub. “Fire Starter” – produced by Jarrad Rogers. “Something That We’re Not” – produced by Emanuel Kiriakou. “Never Been Hurt” – produced by The Monsters and The Strangers. “Shouldn’t Come Back” – produced by Carl Falk and Rami Yacoub. “Warrior” – produced by Emanuel Kiriakou. “I Hate You, Don’t Leave Me” – produced by Emanuel Kiriakou. “Come and Get It” marks the lead single from her upcoming as-yet-untitled album, which is due later this year via Disney Music Group / Hollywood Records. The track was co-written by Ester Dean, whose credits include “Farewell” by Rihanna [Universal Music Group / Island Def Jam Recordings] and “Beautiful Sinner” by Nicki Minaj [Universal Music Group / Republic Records]. Production duties were handled by Norwegian dup Tor Erik Hermansen and Mikkel Storleer Eriksen of Stargate, who are also responsible for “Almost Home” by Mariah Carey [Universal Music Group / Island Def Recordings] and “Acid Rain” by Alexis Jordan [Sony Music Entertainment / Columbia Records. Meanwhile, the new collection by Gomez serves as the follow-up to 2011’s “When the Sun Came Down.” That released debuted at number three on the US Billboard 200 Albums Chart. It also delivered three hit singles in the shape of “Who Says,” “Love You Like a Love Song” and “Hit the Light. Demi Lovato has enlisted the songwriting services of Olivia “Livvi Franc” Waithe for her upcoming fourth album, “DEMI,” which is due in the US on May 14 via Disney Music Group / Hollywood Records. The Barbadian songstress has also contributed to the next albums by Jordin Sparks [Sony Music Entertainment / RCA Records], Priyanka Chopra [Universal Music Group / Interscope Records], Ciara [Sony Music Entertainment / Epic Records] and Juliet Simms [Universal Music Group / Republic Records]. Meanwhile, the follow-up to 2011’s “Unbroken” will boast further songwriting contributions from Savan Kotecha (Britney Spears, Christina Aguilera), Priscilla Renea Hamilton (Chris Brown, Melanie Fiona), Ali Tamposi (Kelly Clarkson, Beyonce Knowles), Marissa Renea Jack (Katharine McPhee, Cher Lloyd) and Tawanna “Frankie Storm” Dabney (Kat Dahlia, Meleni Smith). Producers include Jarrad Rogers (Pixie Lott, Tinchy Stryder), Rami Yacoub (Celine Dion, Nicki Minaj), Carl Falk (Taio Cruz, Nicole Scherzinger), Ryan “Alias” Tedder (Jesse McCartney, Leona Lewis), Emanuel Kiriakou (David Archuleta, Bridgit Mendler), Jon Levine (Fefe Dobson, Selena Gomez) and Jonas “Jay Jay” Jeberg (Kelly Rowland, Cassie Ventura). Demi Lovato has revealed the official tracklisting for her upcoming fourth album, “DEMI,” which is due on May 14 via Disney Music Group / Hollywood Records. Lead single “Heart Attack” was written by Lovato along with Nikki Williams, Mitch Allan, Jason Evigan and Sean Douglas. Production duties were handled by The Suspex, whose credits include artists such as Livvi Franc and Pia Toscano. Other producers backing the “Skyscraper” singer on the follow-up to 2011’s “Unbroken” are Carl Falk (Taio Cruz, Nicki Minaj), Rami Yacoub (Celine Dion, Britney Spears), Jonas Jeberg (Kelly Rowland, Nicki Minaj), Ryan “Alias” Tedder (Leona Lewis, Katharine McPhee), Michael Busbee (Alexandra Burke, Toni Braxton) and Emanuel Kiriakou (David Archuleta, Jordin Sparks). Songwriters include Ali Tamposi (Ciara, Beyonce Knowles), Savan Kotecha (Delta Goodrem, Usher Raymond), Lindy Robbins (Brandy, Nicole Scherzinger), Andrew Goldstein (Bridgit Mendler, Celine Dion), Evan “Kidd” Bogart (Christina Milian, Keyshia Cole), Priscilla Renea Hamilton (Chris Brown, Melanie Fiona) and Sia Furler (Neon Hitch, Christina Aguilera). 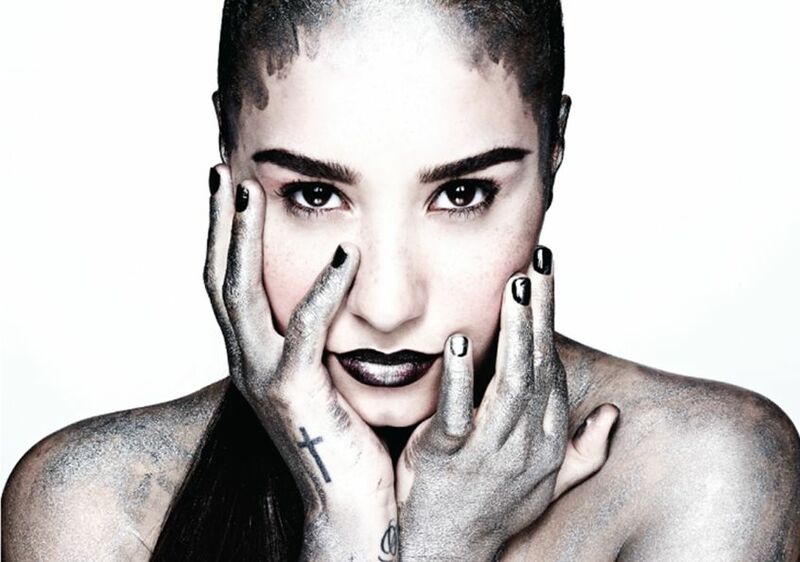 Demi Lovato has unveiled the official artwork and title for her fourth album. The pop starlet will release “Demi” in the United States on May 14 via Disney Music Group / Hollywood Records. Lead single “Heart Attack” was written by Lovato along with Nikki Williams, Mitch Allan, Jason Evigan and Sean Douglas. Production duties were handled by up and coming duo The Suspex. Meanwhile, the follow-up to 2011’s “Unbroken” is confirmed to yield productions and songwriting alliances with Ryan “Alias” Tedder, Lindy Robbins, Jonas “Jay Jay” Jeberg, Ali Tamposi, Rami Yacoub, Carl Falk, Sia Furler, Emanuel Kiriakou, Andrew Goldstein, Evan “Kidd” Bogart and Michael Busbee. Demi Lovato has released the official lyric video for her new single online. “Heart Attack” – produced by the Suspex – marks the lead single from the pop starlet’s upcoming as-yet-untitled fourth album, due later this year via Disney Music Group / Hollywood Records. The track was written by Demi Lovato along with Nikki Williams, Jason Evigan, Sean Douglas and Mitch Allan, whose credits include “Wanted” by Jessie James [Universal Music Group / Mercury Records] and “Learn My Lesson” by Daughtry [Sony Music Entertainment / 19 Entertainment / RCA Records]. Other musicians backing Lovato on the follow-up to 2011’s “Unbroken” are Michael Busbee (Christina Aguilera, Keyshia Cole), Ali Tamposi (Beyonce Knowles, Leona Lewis), Jonas “Jay Jay” Jeberg (Kelly Rowland, Pixie Lott), Sia Furler (Alexis Jordan, Rita Ora), Carl Falk (Taio Cruz, Nicole Scherzinger) and Rami Yacoub (Britney Spears, Celine Dion).